When the real money's running low, these are the spots you need to go. What is bursar, you ask? Silly freshman! It’s free money! Although bursar isn’t actually monopoly money in your parents’ eyes when they see the mysterious “Dining Retail” charges on your tuition bill, it’s the closest that we have to completely worriless financial freedom. So for all you freshman and upperclassmen whose parents haven’t quite figured this one out yet, here are the best spots to eat when the “real money” is running low. Although some food items are sometimes questionable (like why are there chicken ligaments in my Sushi-Do teriyaki?) the popularity, variety and convenience of Houston Market make it a top bursar spot. My advice when approaching Houston’s plethora of cuisine options is to take the unusual route and make individual requests as much as possible —they will most likely surprise you. When you’re at the pasta bar, tell the chef to keep your dish on the stove a little longer so it doesn’t come back lukewarm for the hundredth time. Ignore the burgers and chicken sandwiches on the menu; rather, create the perfect sandwich to match your dietary preferences. Stop getting the chicken fingers every time and actually try their soups or a pre-made salad located next to the registers (the tomato and mozzarella salad with pesto is always great). I’d also like to point out how underrated the ice cream freezer at Houston is. It has every childish ice cream that you could ever want. Lastly, if you live close enough to Houston to make it a reasonable hungover spot, get the chicken noodle soup from Einstein’s because it cures all stomach ailments. This is the perfect place for a pick-me-up and pastry before that 11 a.m. language class. It’s definitely a great option if you’re in a rush. Also, its coffee comes from La Colombe, a national coffee roaster with a shop in Rittenhouse Square. Note: WilCafe offers sugar-free syrup flavors for those that have begun to feel the looming pressure of bathing suits for spring break. WilCafe’s strong suit is definitely its baked goods. 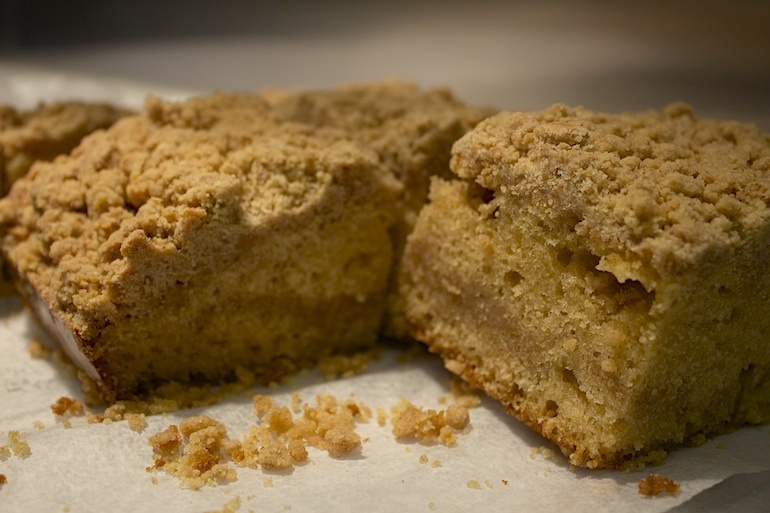 The coffee cake is always flavorful and moist, and the ginger scones get that perfect balance between exquisitely crumbly yet not too dry. When ordering one of the croissants (the almond croissant is my favorite) be sure to ask to have it warmed up if you managed to get out of bed before 10:45; it makes a world of a difference. Besides the endless Penn gear, Apple products and school supplies you can get at the bookstore with a mere swipe of the PennCard, you can also get great food options at the cafe. The chicken pesto sandwich is a lot better than its equivalent at Gia Pronto —and the bookstore is free! (kind of). The Capresse sandwich and daily soups are also tasty choices, but be wary of any Starbucks specialty drinks–they are definitely slightly off recipe. The café also has great beverage options that you can’t get anywhere else on campus including sodas from Boylan Bottling Co. and Jones Soda. Bonus: the candy selection is as good as your typical Wawa. This tiny grocer on the bottom floor of commons is by far the best grocery store in University City, regardless of the payment method. The overwhelming majority of the items are organic, and there are delicious options for vegans and the gluten-free as well. Whether you’re shopping for recipe ingredients, buying a frozen meal or picking up your favorite Ben & Jerry’s, G2 is always the move. 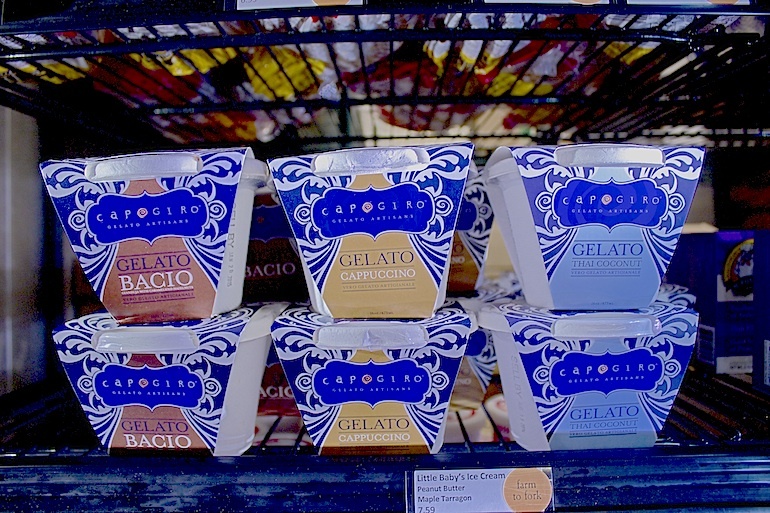 It sells packaged Capo Giro gelato and Little Baby’s ice cream (which is a philly-based ice cream company that specializes in highly exotic yet tasty flavors–go for the Birch Beer Vanilla Bean or Thai Iced Tea). 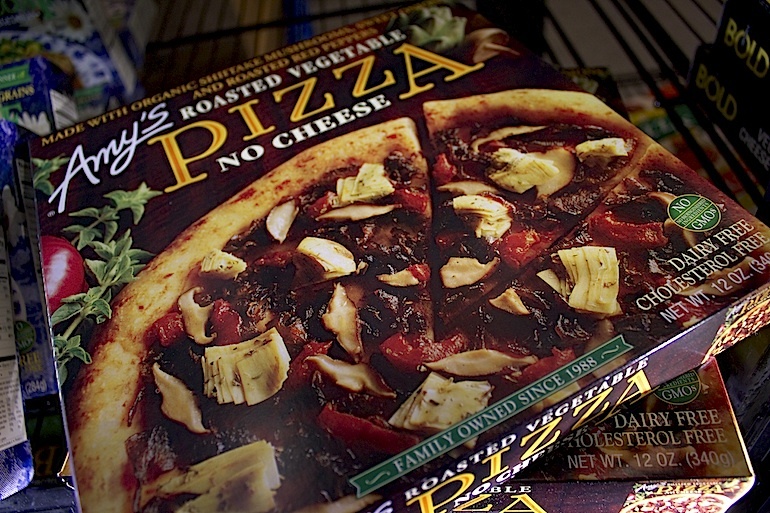 I have tried almost all of their frozen-foods and have only good things to say about them. Anne Chun’s frozen mini-wontons and potstickers (go for the Pork & Ginger) have perfectly seasoned fillings. My friends have even described Amy’s margarita pizzas as so good that they’re “literally crack.” I use the Severino frozen pasta sauces at least once a weak, and they only require a dash of salt and some sautéed onions (if I’m up to the task). Gormet Grocer also has great snack options, especially if you’re looking for something low-calorie and out of the ordinary (the Falafel chips are awesome, especially for hummus dipping). The best part about Gormet Grocer is that its options are always evolving, as it constantly brings in new tasty, local and healthy foods for our parents to unknowingly buy for us. Fronteras, which just opened last Monday, has been the talk of the town since it graced the newly-renovated halls of the Arch building on 36th & Locust. The recipes and cooking process strictly follow the directions of Chef Rick Bayless, so naturally the food is consistently high quality and the flavors are all highly developed. Fronteras is not your typical Mexican chain food vendor with burritos and quesadillas, but makes tortas (griddle-baked sandwiches), cazuelas (mexican “meals in a bowl”) and mollettes (warm flatbreads that don’t require any wait time). Students have been raving about Fronteras’s food for the last week because the food truly does not compare to anything else on campus. If you’ve never been, definitely start with one of the tortas–they all taste great and are a good intro to your Fronteras experience. My favorites are the Pepito (braised beef short ribs) and Chipotle Chicken tortas. The arugula mixed in with all those Mexican flavors tastes phenomenal. The chipotle shrimp taqueria is my favorite salad–definitely ask for extra avocado lime dressing on the side. If you love guacamole, Fronteras has a pinkberry-like guac bar after noon with various toppings including smoked bacon and sun-dried tomatoes. Lastly, beware of the Aguas Frescas; they are exceedingly sour and definitely require a bit of water (or tequila if you’re on the go).